founded in 2006, is a school based on Christian values and principles. 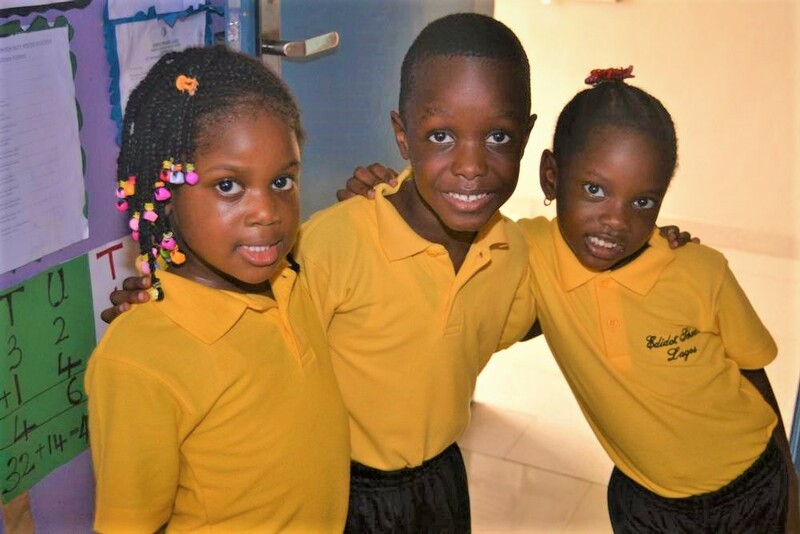 Edidot is considered one of the top schools in Lagos in offering personalized attention and utmost care, serving over 800 students from different backgrounds in our locations. Our schools are divided into three sections; Nursery (3months to 5years), Primary (6years to 11years) and College (11 years to 17years). At Edidot Schools, we understand our role in preparing our students for a successful life and we know how important we are in helping our students and families achieve life goals. We have bold goals for our students and we offer all the support and guidance we can to make sure they achieve them. Our schools have over 150 teaching staff supporting our students' learning. Each of our dedicated staff don't just teach, they change lives with God's help. Preparing our students is paramount to their success in school and outside the school. Our students participate in all local and foreign terminal examinations, First School Leavers Certificate Exam, Lagos State Basic Education Council exam, National Examination (NECO), West Africa exam (WAEC), JAMB, Cambridge Checkpoint Exam, Scholastic Aptitude Test (SAT), International General Certificate of Secondary Education (IGCSE) and Test of English as a Foreign Language (TOEFL). Our students score very well in examinations and are generally accepted into Universities within and outside the country. We offer our students opportunities in academics, students' leadership, sports, entrepreneurship, arts and other extra-curricular activities. Our goal is to lay the foundation for successful business, government, cultural and social leaders who will be passionate and responsible for others. Our students have the opportunity to participate in sports from the Nursery school through our College. We encourage active participation in extra-curricular activities as this is used to develop character and instill positive values of humility, integrity, discipline, hard work, responsibility and improve self-esteem. Our Parents know that they are not just customers in our schools. Our Parents are our Partners and our students are our children. Teaching for us is not just a profession - it's a passion. Every member of staff takes full responsibility for our students by creating an environment that allows growth and love amongst our students, staff, and the communities we work in.Our low teacher-students ratio makes this possible for us. Our students are mentored and encouraged according to God's word to find purpose and discover their strengths while working on their weakness. We desire to partner with you and your family to give your child a well-deserved education that will set them apart in life. Please take the time to check our website, call us to take a tour of our beautiful schools and learn more about what we are doing at Edidot Schools. If you have any question, please contact our admissions team on 0708-712-6970, 0805-681-9788 or 0805-174-4540.